Every year the Toronto Blue Jays team step-up to the plate for kids and youth at the the Curve Ball Gala. 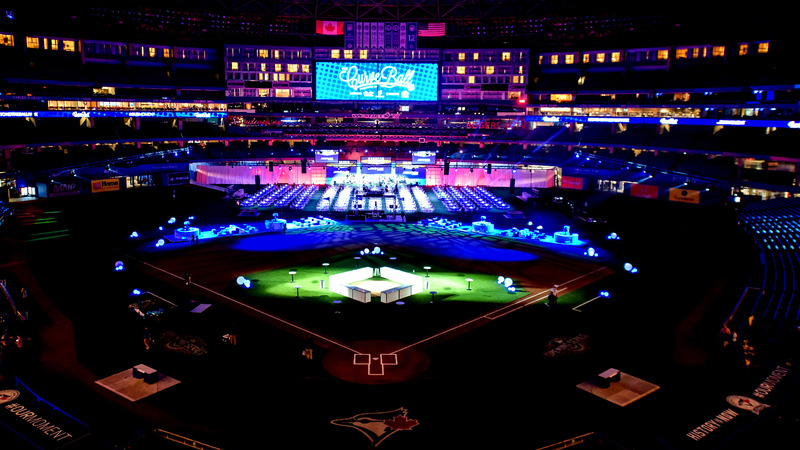 The Rogers Centre is lit up during the Curve Ball Gala for the Jays Care Foundation, an educational and recreational initiative bridging the sport of baseball to children with limited opportunities to participate in social and athletic activities. In lending their skills, resources and influence, it’s a solid the Jays team members are proud to do for the community.